Once a couple has decided to separate and/or divorce, one of the most important considerations is who will care for the children, known as a parenting arrangement. Usually, in the absence of violence, neglect or other issues, a shared care parenting arrangement is agreed upon so that the children can continue to have a relationship with both parents. A parenting arrangement can include agreements on medical treatment, schooling, extended family visits and holidays. 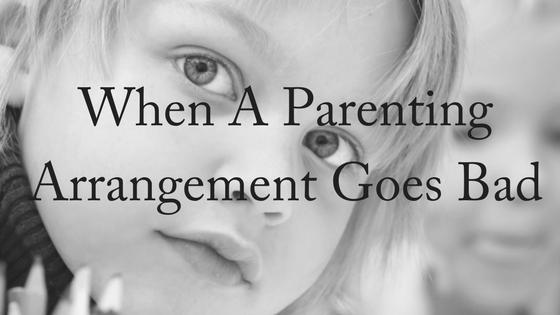 There are instances however when parents who cannot agree on a parenting arrangement find themselves in a precarious position. In Victoria, a 12-year-old was enrolled in two schools after her separated parents couldn’t agree on which school she should attend. Josie was set to spend one day every two weeks at a co-ed school near her father’s house, and the remainder of her time at a girls’ school of her choice, which is near her mother’s house. Education Minister James Merlino said in December that he had asked the Department to ensure Josie only attended the school of her choice. Josie’s mother Amelia said the “absurd” situation highlighted serious flaws in the department’s policy for handlin g disputes between separated parents who have shared responsibility over a child. The current Education Department’s policy states that if a parent asks to enrol their child at their designated neighbourhood government school, the enrolment must be accepted. However, this becomes complicated when the child technically has two designated neighbourhood government schools, with their local school changing depending on which parent they are living with. As more parents separate, principals say disputes about school enrolments are becoming increasingly common. Australian Principals Federation president Julie Podbury said while the law may have been interpreted correctly, the situation was not in the child’s best interests. Which Parenting Arrangement Works Best? Recent research has shown that the children of separated parents do best when they are able to spend time with both parents, rather than one parent having fulltime custody. Of particular note, the research found that a high-conflict separation always had adverse outcomes for the children. A new study, published in the Journal of Epidemiology & Community Health suggests that children cope better when they spend time living with each parent. The researchers wanted to find out whether kids who live part time with each parent were more stressed than kids who lived full time with one parent. They studied data from 150,000 12- and 15-year-old students and studied psychosomatic health problems, such as sleeping disorders, headaches, stomachaches, difficulty concentrating and feeling tense and sad. They found that 69% lived in a two-parent family, 19% spent time living part time with each parent and 13% lived with one parent. Children in two-parent families reported the lowest incidence of psychosomatic symptoms, but the most interesting finding was that kids who lived part time between their parents were better off than kids who lived with one parent. At Divorce Lawyers Brisbane, we encourage parents to amicably enter into parenting arrangements that are in the best interests of the child/ren. We offer a free, 10-minute phone consultation. Contact us today!